What to bake when you only have a few sheets of frozen puff pastry, frozen blueberries and some frozen raspberries left in the freezer? Try baking these freeform berry galettes. Perfect for a cooler day, as you can serve them straight out of the oven. 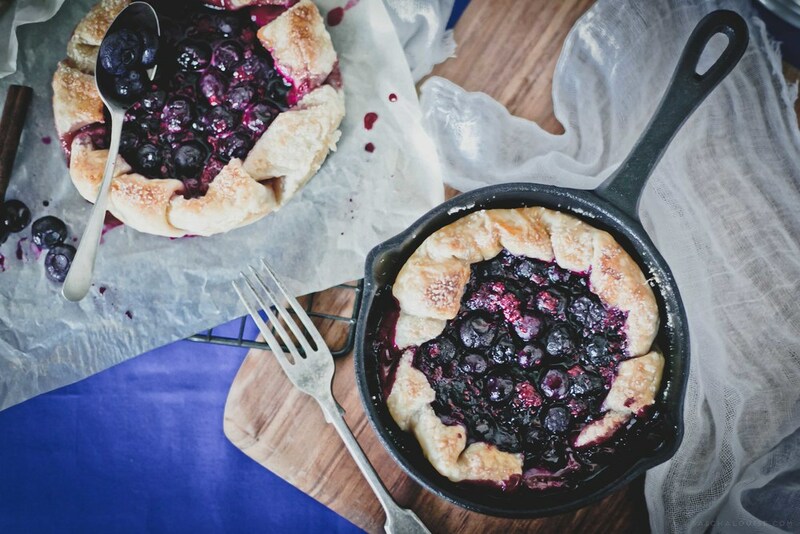 They'll look even cuter served in small cast iron skillets, perfect if your stuck for a quick and impressive dessert to serve last minute guests!